Disney Dusty Plane Just $32.08! Down From $55! PLUS FREE Shipping! You are here: Home / Great Deals / Amazon Deals / Disney Dusty Plane Just $32.08! Down From $55! PLUS FREE Shipping! Exclusive for Prime Members! 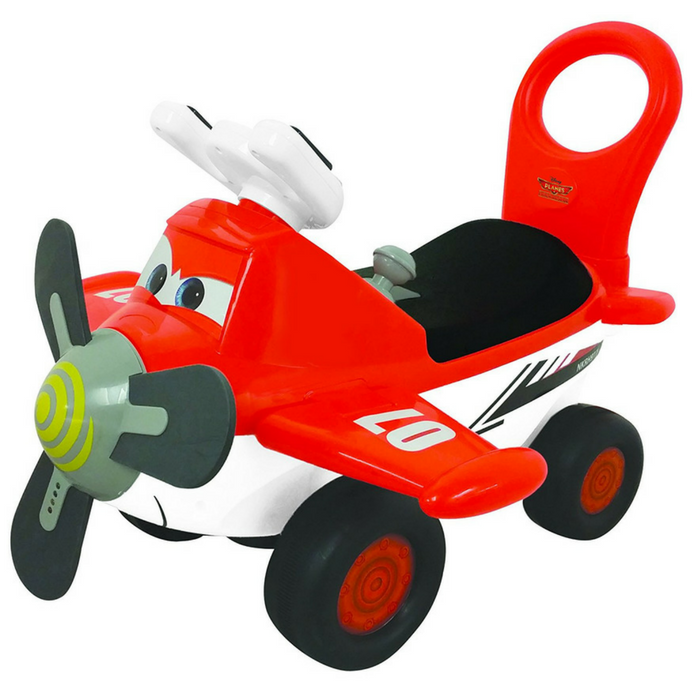 Get this Disney Dusty Plane at Amazon for just $32.08 down from $54.99 PLUS FREE shipping! This Dusty Plane is a fun foot-to-floor ride on, helping your toddler develop balance and steering skills. It has four wheels, making riding easy and balance not a problem. With fun lights and sounds, kids will love this Disney ride on. Hear Dusty’ s favorite music, see the propellers rotate to amazing light-up patterns, and hear the realistic lift off and landing sounds. This fun and colorful ride on adds imaginative play, as they pretend to be Dusty and recreate their favorite scenes from the movie. Hear Dusty play his favorite songs! Steer wheel and honk horn for a great “flying” adventure!